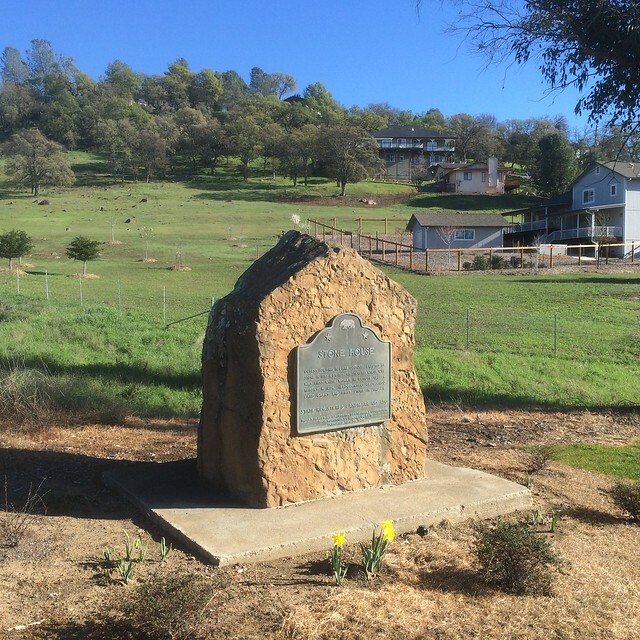 This landmark is located on the northeast corner of Highway 29 and Hidden Valley Road, 5.3 miles north of Middletown, California in Lake County. There are 6 other California State Historical Landmarks in Lake County. The GPS coordinates for this location are N 38° 48.568 W 122° 34.361. 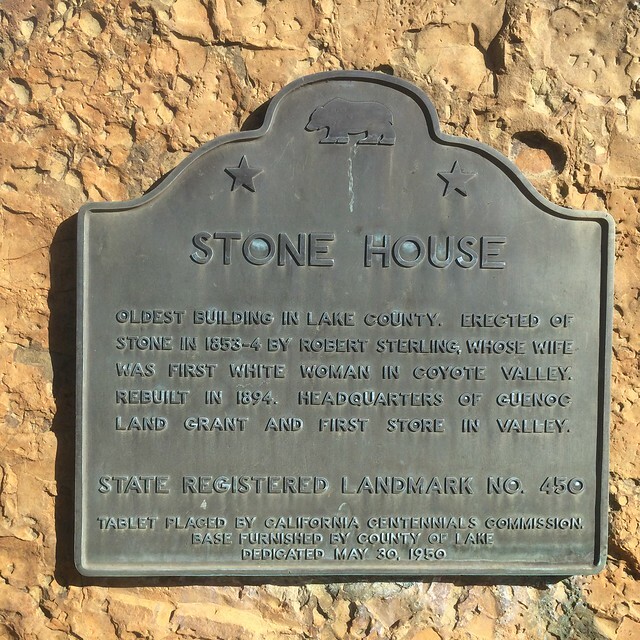 Oldest building in Lake County, the Stone House was erected of stone in 1853-54 by Robert Sterling, whose wife was first non-Indian woman in Coyote Valley. It was rebuilt in 1894 and served as headquarters of the Guenoc land grant and the first store in the valley.